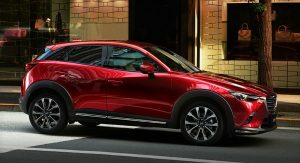 Mazda will be offering the 2019MY CX-3 in its home market, starting from May 31 and priced from the equivalent of $19,300. 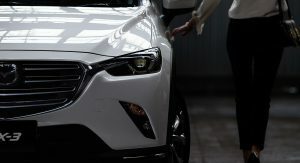 Paying the aforementioned sum will land customers the 20S front-drive entry-level grade. 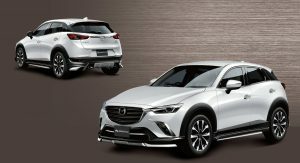 The base all-wheel drive model starts from 2,353,600 yen ($21,350), whereas the range-topper XD ProActive S Package is available from 2,954,080 yen ($26,797) with AWD, and 2,728,080 ($24,746) with FWD. 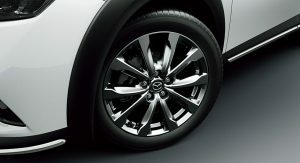 Prices don’t include the 11,120 yen ($101) recycling fee. 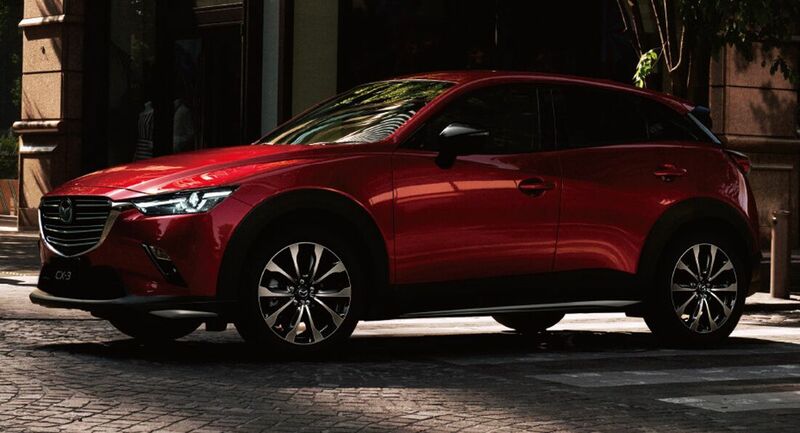 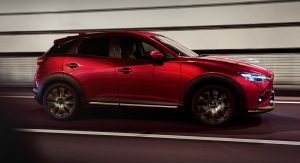 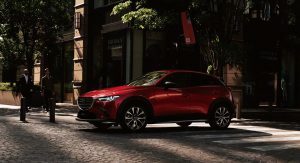 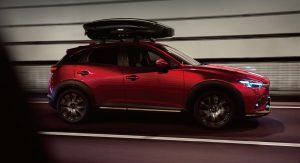 In addition to the changes that were already detailed by the automaker, the 2019 Mazda CX-3 promises to “retain the excellent handling as a compact car”. 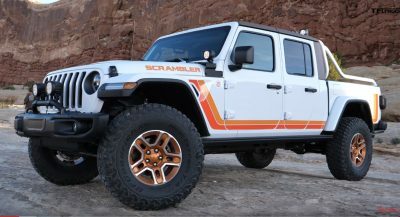 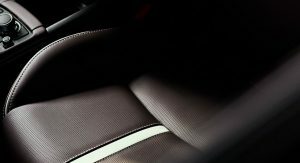 It’s also said to be “quieter and more comfortable” than before, benefiting from a revised suspension and newly developed tires. 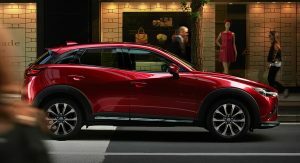 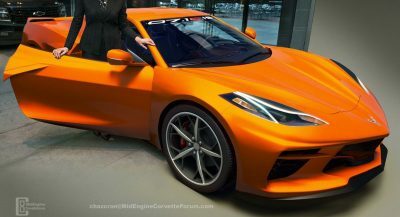 Besides the SkyActiv-G 2.0-liter gasoline engine, which features edge-cut piston heads and high-dispersion injectors, the updated crossover can be had with a new SkyActiv-D 1.8-liter diesel engine. 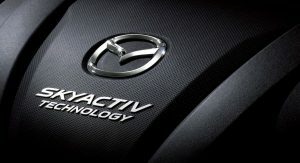 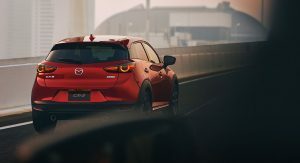 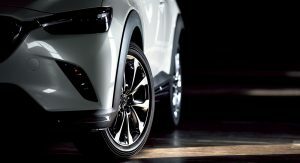 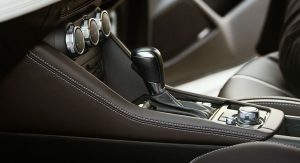 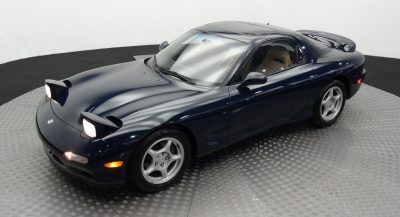 The latter “improves efficiency and emissions performance in common driving situations”, explains Mazda. 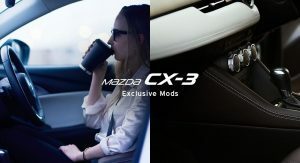 Another novelty is the introduction of the Exclusive Mods. 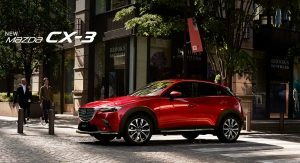 This is a special edition of the CX-3, available in two trim levels called 20S and XD, with FWD and AWD, which will hit the assembly lines from July 1. 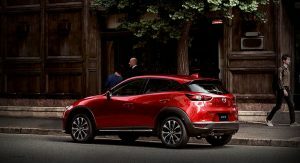 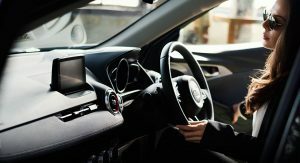 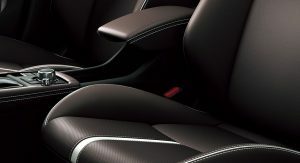 The 2019 Mazda CX-3 Exclusive Mods benefits from the equipment offered in the regular 20S and XD models, but adds deep red Nappa leather upholstery combined with white interior trim in order to create “an edgy, urban atmosphere”. 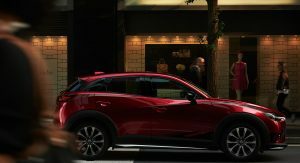 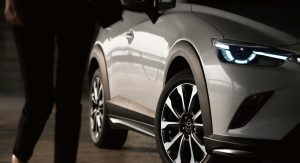 A suite of driving assistance features is available for the compact crossover, either as standard or for an extra cost, including an updated version of the Advanced Smart City Brake Support system, which detects pedestrians at night. 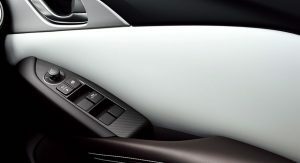 Radar Cruise Control with Stop & Go, a 360-degree camera system and an auto-dimming rearview mirror are also part of the equipment list. 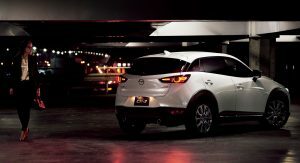 This car is too tall and too narrow. 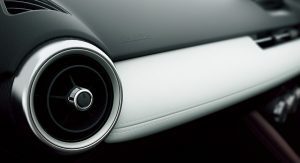 It looks as if it was squeezed from the sides. 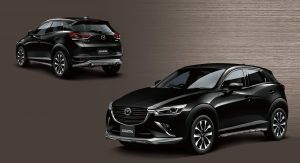 Any chance the Exclusive Mods Nappa edition hits the States?